Hiya guys! How's it going? It's such a beautiful day outside, finally didn't have to wear a jacket or sweater. The fresh air and sunshine has been missed! Now all we need is some flowers blooming and the ice cream truck making the rounds haha. Today I am sharing more things to get you in the mood for Spring! The two polishes here are from the foursome newly released from My World Sparkles Lacquers. I feel like you guys are really going to love the shades so let's get right to it! The entire Spring collection from My World Sparkles Lacquers is now listed in the shop and available for purchase. Each full-size bottle retails for $8.00 while the Pamper Gem retails $1.50 for one. Use the code M&M10 to receive 10% off your next purchase! Spring is Coming can be described as a cool medium green with a hint of shimmer and sparkle. I have to start off by saying this is definitely my pick for favorite among the Spring collection. Love, love, love the color. Though I would like to note it does have more of a cool green tone in person as opposed to my photos. Fantastic formula, super smooth and opaque application. And I'm also happy to report that I experienced no staining from this shade! Shown here in two coats and sealed with a glossy topcoat. Winter Rose can be described as a light mauve rose color with micro glitters and iridescent flakies. I love this mauve tone, it looks so unique to me with the combination of the flakies. This shade was actually previously featured as only a mini in the monthly duo set for February. Formula applies well, but the shade is on the sheer side. It layers smoothly to an opaque finish in a few coats and dries to a nice shine. Shown here in three coats and sealed with a glossy topcoat. 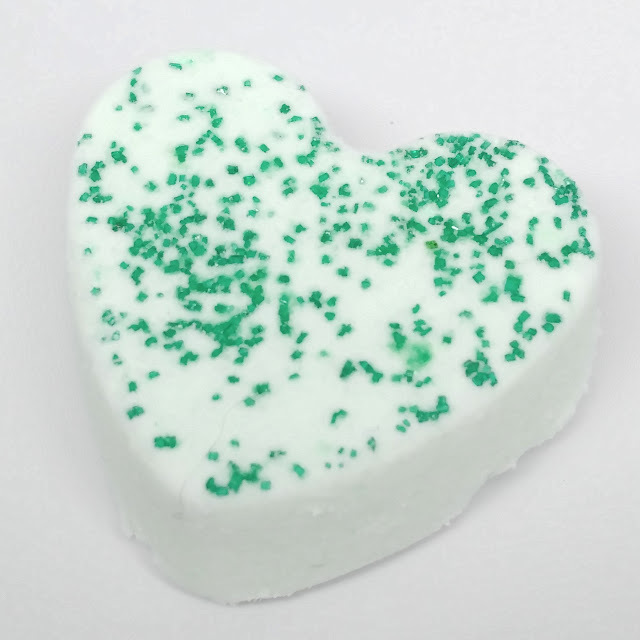 The newest Pamper Gem this month is Cucumber and Green Tea! At first I wasn't too sure how I was going to feel about the scent, but as soon as I opened the package I felt like instantly transported to cloud 9. If you guys haven't heard about Pamper Gems, they are basically just like a mani bomb. Drop in warm water and dip your hand for a few minutes. It's so soothing and relaxing. Honestly it ended up being exactly what I needed to unwind after a long day at work and I'm going to have to buy myself a few more. Overall I really ended up loving both of these shades, unexpectedly so. These are not colors I would pick for myself at first glance, but they ended up suiting me quite nicely and are perfect for Spring. I definitely recommend Spring is Coming because the formula is smooth and it's not often a beautiful greenish teal doesn't stain! That will always be a win in my book. As I mentioned before, Elizabeth has been super generous and has given me a coupon code to share with you guys! Use the code M&M10 to receive 10% off your next purchase! These colors go so well together, and they look perfect for spring! Spring is Coming is gorgeous! Oh wow, Spring is Coming is quite gorgeous. Winter Rose is very pretty, too! I don't have anything by this brand, but I'm very interested in them! Beautiful swatches! I absolutely loved the Cucumber and Green Tea pampered gem, I keep meaning to order more of those. I love Winter Rose. So pretty! Spring is Coming looks lovely! Such beautiful colors! Love both!! I get nail envy whenever I see your nails÷! Green generally isn't my favourite, but that green is AMAZING!! Both of these are stunning! Beautiful swatches!